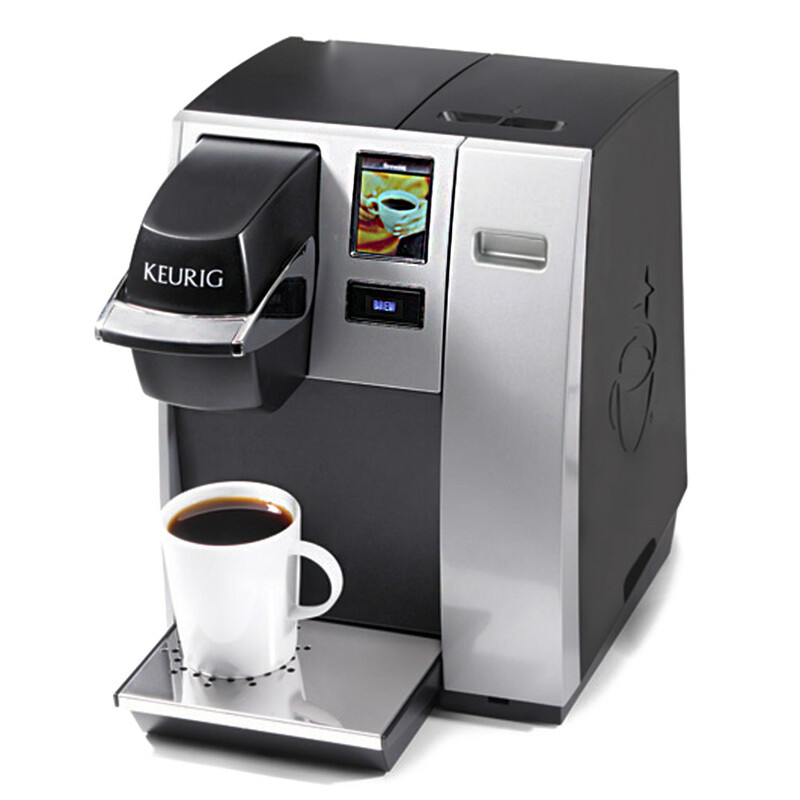 The Keurig® K150 Commercial Brewing System brews a perfect cup of coffee, tea or hot cocoa as well as iced beverages in under one minute at the touch of a button. Now everyone can brew what they love. This fully programmable brewer has an interactive touch-screen that allows you to program the brew temperature, to set Auto On/Off, and to set your language preference to English, Spanish, or French. The Keurig® K150 brewer offers a choice of five cup sizes, a removable drip tray to accommodate travel mugs, and a drainable internal hot water tank for transport or storage. This brewer is certified by the National Sanitation Foundation (NSF) for use in foodservice outlets. Includes a removable 90 oz. pour-over water reservoir. Optional direct-water-line plumb kit accessory (sold separately).